The Department of Automobile Engineering was established in the year 2004. The department currently offers UG program with an intake of 60 students. 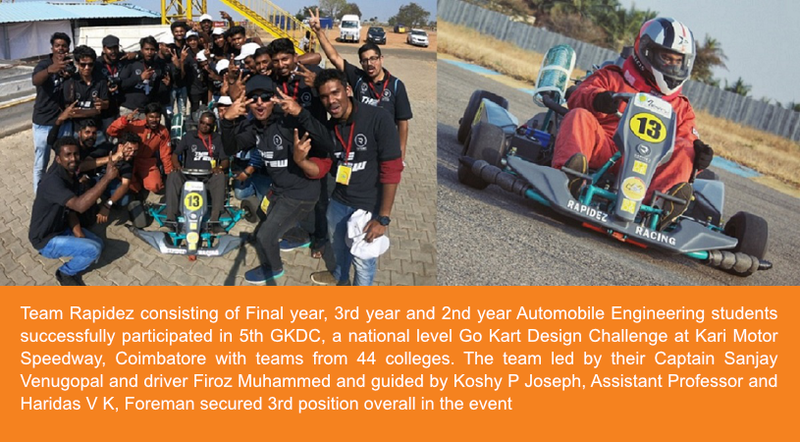 To update with the recent trends and developments in the field of Automobile, the department takes up the initiative to conduct various Seminars, Conferences and Workshops, with eminent speakers from reputed academia and industry..